Smart cameras may be small and simple-looking, but their processing capabilities are exceptional. Within their compact and durable casings, you’ll find a mind like a steel trap. In fact, some machine vision smart cameras – such as the HAWK MV-4000 – boast processing speeds that are nearly as fast as PC-based systems using a set of regular cameras. Because they include imaging and processing technologies in a single compartment, they’re also much easier to set up than PC-based systems. The prospect of overtaking PC processing speeds with such a small device entices engineers worldwide to focus on smart camera technology. With PC-based systems, all cameras are hooked up to a single, centralized processing unit. This works for some situations, but for others it’s ideal to have several independent points of inspection and processing along the assembly line. The automotive industry is a prime example of this. In automobile manufacturing, distributed point procession applications work best. If several regular cameras were hooked up to a single PC for processing, it could be a challenge to keep all the inspection points separate. In fact, it was in the automotive industry that smart camera technology really began to flourish. Smart cameras also facilitate flexible mounting in cramped spaces. 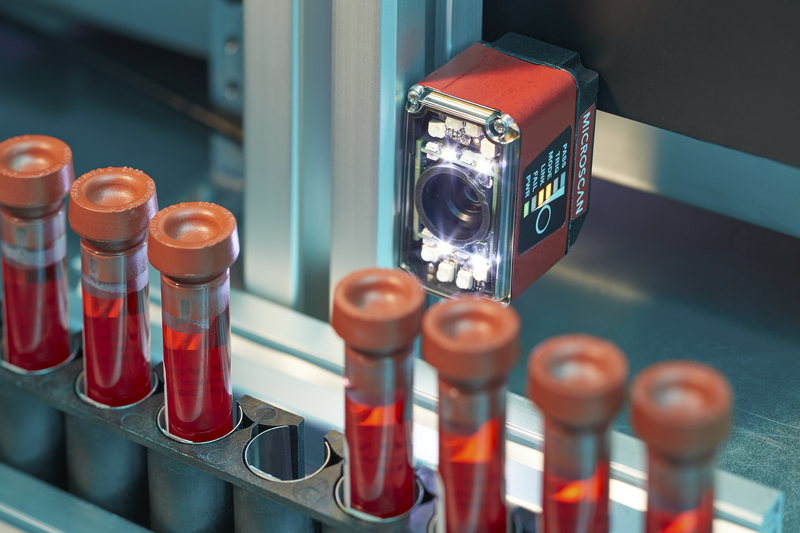 Moving from the automotive industry into the field of medical device manufacturing, these devices came into their own as a smart way to incorporate machine vision solutions into laboratory testing equipment. Space is precious within the complex apparatus that analyzes the contents of specimen tubes and automatically outputs results. Only a smart camera can fit neatly into the crevices of the testing equipment without needing to be hooked up to an external processing unit. The fervor over smart cameras is fueled by rapid advances in the component technologies that make them work. Recent advancements in CMOS imagers and digital media processing chips have kept cameras small while dramatically increasing their speed and expanding their capabilities. These improvements also happen to add little to the overall price tag, so customers can get superior power year after year without needing to splurge. All in all, machine vision smart cameras are looking to be the future of industrial automation vision technology. They’re compact, easy to integrate, and likely to keep advancing in power and speed. Look out, PC-based systems – smart cameras may soon surpass all competition! Learn more about our latest advancements - watch our webinar covering advantages of the new HAWK MV-4000 High Performance Smart Camera!